LANSA eLearning is cloud-based training that makes learning accessible on nearly any browsing device. LANSA eLearning provides a cost effective way for staff to reinforce concepts and skills learned in classroom training, or to learn new material, in a flexible learning environment. 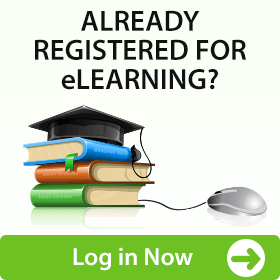 eLearning allows you to learn on your own schedule, at your own pace. Watch the overview video to see the eLearning education platform in action. For more information on eLearning, please . This course provides an overview of the basic user interface for building and working with the LANSA repository, as well as working with the editor to code LANSA applications. Hands-on exercises include defining Repository fields and field visualizations, files, specifying validations and triggers and relationships. RDMLX commands are presented and used, using either Windows forms or web pages, including expressions, intrinsics, variants, etc. Creation of system variables, virtual fields, and list processing are demonstrated and practiced. This workshop also includes an introduction to developing applications using Visual Frameworks, either for Windows or web browser deployment. Web Application Development is an essential course for all web developers. It covers all the web controls and techniques which are available in Visual LANSA. Web Development using VLF-ONE is for customers who will be building and deploying their internal web applications using LANSA’s Visual Frameworks (VLF-ONE). Web Application Development is a prerequisite for this course. The LANSA Application Deployment Tool is used to deploy your finished applications from the Visual LANSA development system to a runtime environment on a PC. This course describes the options and settings required to deploy a Visual LANSA application onto a target PC, as well as working with the Deployment Tool to develop and build application deployment packages. Hands-on exercises include setting up the Deployment Tool, creating applications, defining and building application versions and patches and installing the deployed application and subsequent changes. This course will teach you the basics of building end-user queries leveraging the power of the LANSA Repository. You will learn how to use LANSA Client for data analysis and presentation of common business information. This course is designed for the business oriented end user and for the IT staff who will support LANSA Client in their company. The following courses are available on request. This course provides an overview of the basic user interface for building and working with the LANSA repository, as well as working with the editor to code LANSA applications. Hands-on exercises include defining Repository fields and field visualizations, files, specifying validations and triggers and relationships. RDMLX commands are presented and used, including expressions, intrinsics, variants, etc. Creation of system variables, virtual fields, and list processing are demonstrated and practiced. LANSA Visual Framework provides a powerful application framework for rapidly prototyping and developing both Windows and web applications. This course introduces the fundamental skill needed to develop Windows application with graphical form-based development using a Visual Framework (also referred to as VLF.) The course expands upon the basic form programming skills learned in the Fundamentals course.